The receiver is the heart of your entertainment system, so choosing the right one is essential for getting the most out of it. But where do you start? While we can’t cover every possible scenario, here’s a quick overview of what you want to look for in a receiver. The first thing to consider is the type of room you’ll be listening in. A home theater generally requires a more powerful receiver than one for a living room or bedroom. Though if you want that “big boom” sound in your living room, you can always opt for more power. You’ll also need to make sure there are enough output connections (called “channels”) for all of the speakers you have. Modern surround sound systems alone can have up to 13 channels. You also may need extra channels to power speakers in other rooms, such as outdoor speakers or speakers in the kitchen or master bedroom. Next, consider how many devices you’ll be connecting. Do you have a Roku or Firestick? A DVD player? A satellite or cable box? 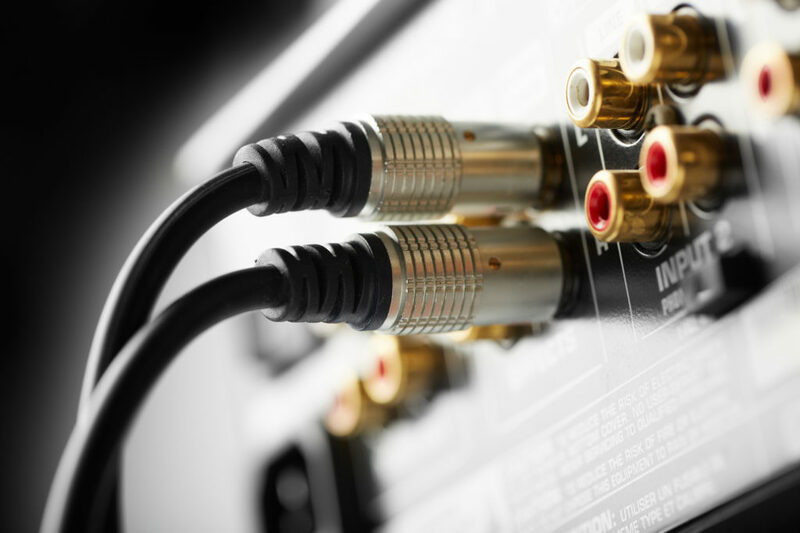 Your receiver will need to have enough inputs – and the right kind (HDMI, RCA, etc.) – to support all of your devices. Lastly, what special features do you want? Receivers can include a wide variety of “extras” that will take your system to the next level. Do you want Apple AirPlay or Spotify built in? Do you want to be able to control your system from an app on your phone? Or by voice command? Do you want to be able to add wireless speakers? Or be able to play different things in different rooms? Special features vary widely from receiver to receiver. Check to make sure you get one with the specific functions that you want. Choosing the right receiver is crucial for any entertainment system, and there are a lot of factors to consider. If you’d like some guidance on picking the best receiver for your needs, call WAVES at 404-488-3874 or click on the box to the left for a live online chat.